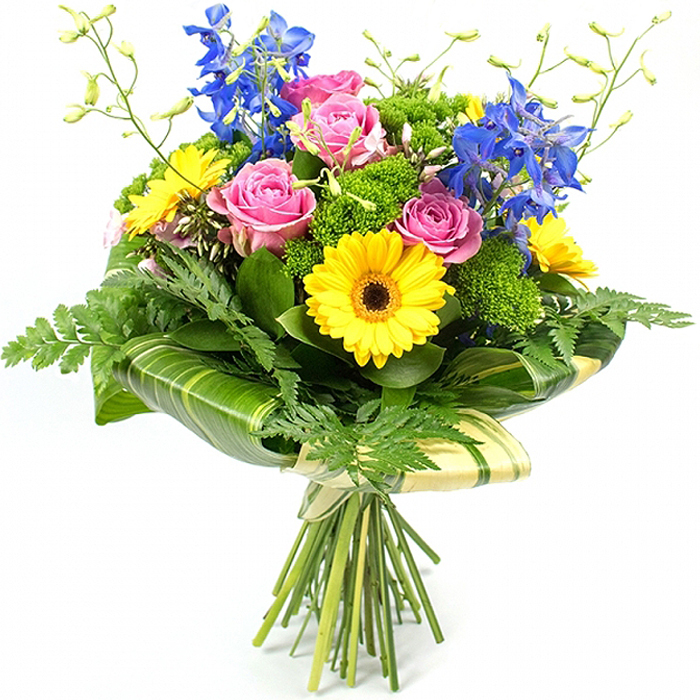 Send the best part of the season to their door with a fresh and stylish bouquet feauturing pink roses and yellow gerberas. The mix of flowers is rich in details and reveals an inspiring natural beauty that is certain to brighten up the mood. The large bouquet I ordered turned out perfect! The flowers were very attractive and my guests could not stop looking at them. I'm very impressed. Handy Flowers literally make the most incredible flower arrangements I have ever seen, and I used to be a florist! Hi guys! i just want to say THANK YOU for the fantastic flowers! They arrived in excellent condition. I was lucky enough to find this florist and have the flowers delivered on the following day without any worries. Will use again in the future. Would highly recommend this florist!